Most of the 25-miles of single track trail are one-way (clock-wise) and should not be biked backwards. The bike trail is open from April to September. Although the trail is primarily used by Mountain Bikers, it is open to hiking. 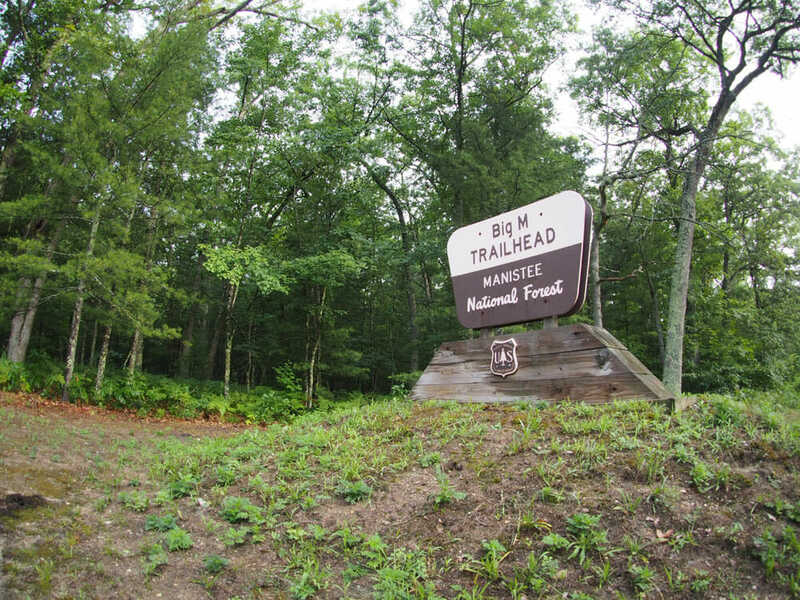 The trail runs near, but is not connected to, the North Country National Scenic Trail for a short stretch. The 18-miles of trail are groomed and the parking lot is plowed in winter, usually starting in December. There is also a chalet available for skiers. Snowfall averages 130 inches from December to March, but the best skiing is usually in January and February. One loop provides several miles of backcountry trail that is is perfect for snowshoeing. Grooming Report Also, at the trail head, there is a warming hut available. The Outer Loop at the Big-M is specifically designed and groomed throughout the winter months for FAT tire riding. This is also a great place to enjoy skate style cross country skiing and snowshoeing.